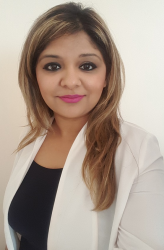 Jasmeen Parmar has a thriving career as a Mortgage Agent and has in-depth knowledge of the mortgage industry which allows her to generate approvals efficiently. She understands that customers can be complicated with unique and unusual factors to be considered during the mortgage review process. By looking at the entire story, Mortgage Alliance is able to help prospective quality borrowers with a less than perfect credit rating secure the loan they need. In other words, if the investment makes sense, we will fund it. We work with all the Top Lenders, Including the Major Banks and Top A+ Lenders, B Lenders, and Many Private and Alternate Lenders.